This animated movie is a love story that starts as a friendship from early age that starts with a promise, a dream that both of them shared and as time passes they get married and grow old together. 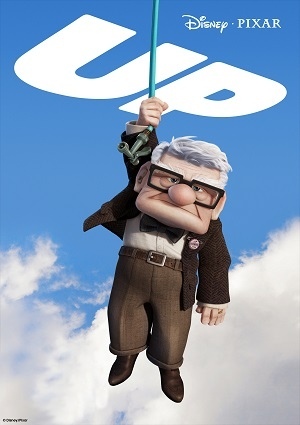 The 78 year old Carl ties a thousand balloons to his home and sets out to keep the promise he made to his love and sets for the wilds of south America. A little kid named Russell tags in along becoming a stowaway and helps out Carl fulfill his lifelong dream. Truly an amazingly beautiful and original movie from Disney Pixar.